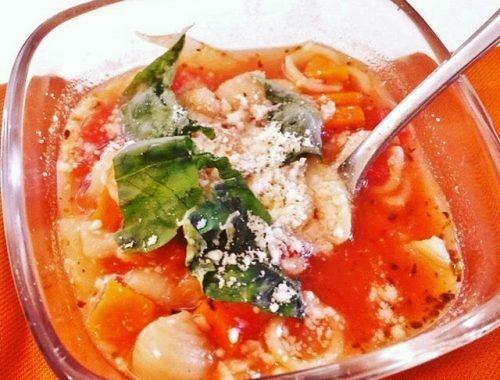 Simple Tomato Soup - Recipe! - Live. Love. Laugh. Food. 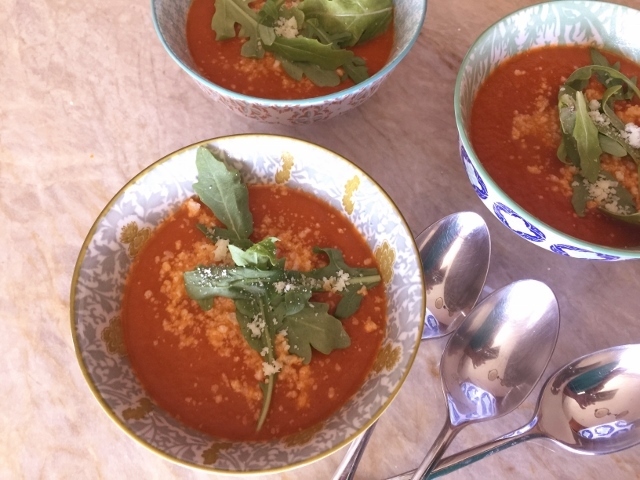 Simple Tomato Soup – Recipe! Tomato Soup any time of the year always seems to hit the spot. 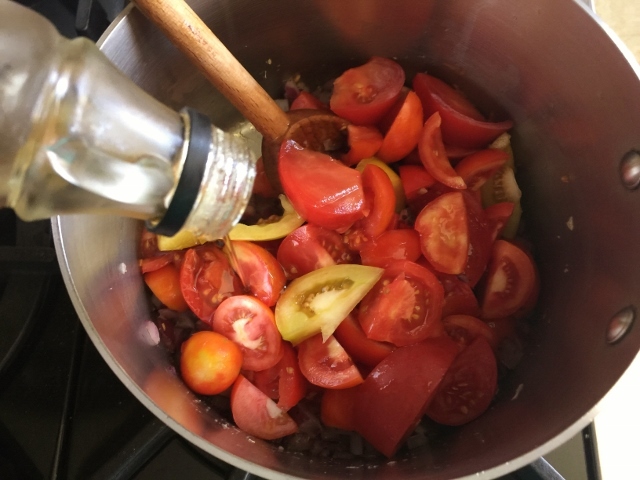 In the summer months, most tomatoes are plentiful and it really doesn’t matter which variety you use – they all make great soup, but in the wintertime tomatoes are different. 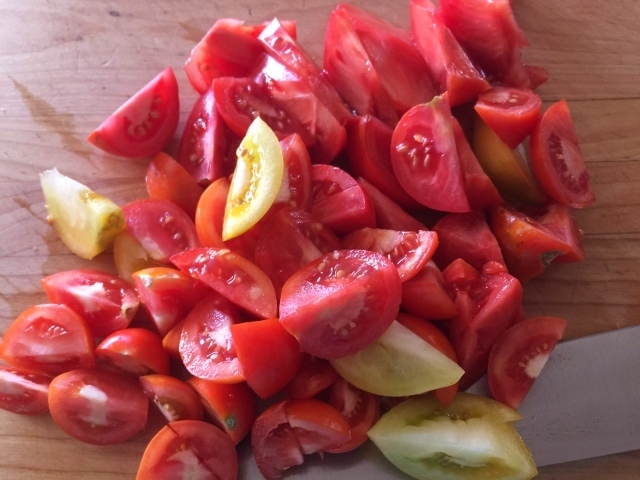 In their off-season tomatoes are not as flavorful, but you can still use the standard grocery store varieties like Hothouse or Roma, or go the canned tomato route because when cooked they become sweet and juicy. When I was young, Campbell’s seemed to be the Tomato Soup most kids loved, but I was blessed with a mom who made things from scratch and we didn’t consume many canned goods. My friends would reminiscence about the hot grilled cheese sandwiches they would dip in a rosy bowl of Tomato Soup and I remember thinking, boy does that sound good. 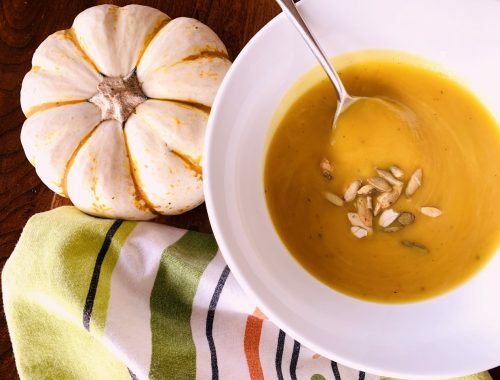 Today, I go homemade just like mom and this recipe is super easy – just about as fast as you could drive to the grocery store and back and heat up the canned version. As far as taste, incomparable – this steamy bowl is sweet, savory and satisfying. It’s one recipe that everyone in the family will love and you will make over and over again. 1. Dice onion and mince garlic, set aside. Slice tomatoes into wedges, set aside. 2. In a medium saucepan, add 1 tablespoon olive oil and place over medium heat. Add onion and garlic and saute until softened, about 3 minutes. 3. Add oregano and salt, stir. Toss in tomatoes and stir to combine. 4. Drizzle in maple syrup and 1/2 cup of water, stir. Cover pan with lid a jar and continue to cook for 15 minutes. 5. 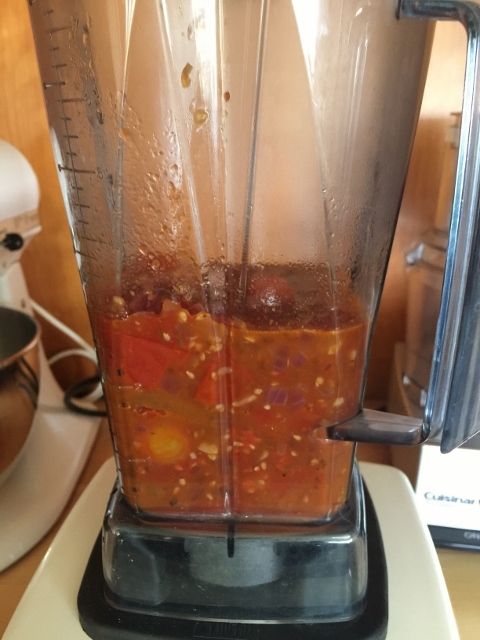 Spoon tomato mixture into blender and puree until smooth. 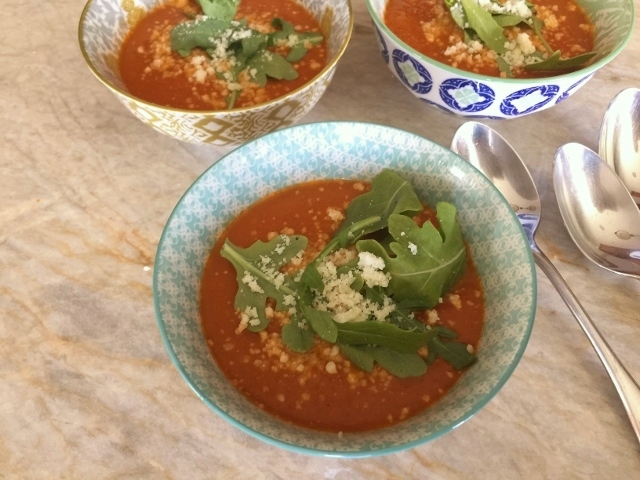 Ladle into bowls and sprinkle soups with fresh arugula and parmesan cheese. Enjoy! 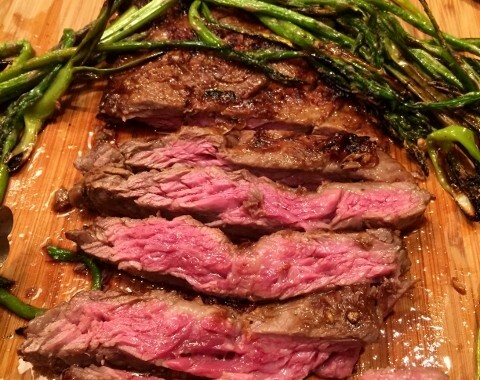 Teriyaki Skirt Steak & Asparagus – Recipe!